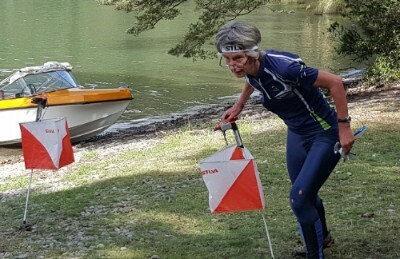 Although many of you will have already seen on the ONZ website the news of excellent performances at the World Masters Mountain Bike Orienteering Champs (2017) held in France – let me add my personal congratulations to Marquita Gelderman (3 Gold Medals) and Rob Garden (Gold and a Bronze) on their outstanding individual triumphs. Great to see other team members producing some wonderful results and raising the kiwi mountain biking profile. I always have a look at Blair Trewin’s editorial in the OA newsletter and it was very interesting to see that they are having a debate around hosting major events and the ability of smaller more remote clubs to undertake such a commitment. He cited the enjoyment at travelling to more remote areas, the business it brought to smaller townships and the great feeling of enjoyment and honour that clubs showed when hosting major competitions. We are in the midst of examining this issue and look forward to taking this to the clubs for their views. July’s Council meeting finalised the Anti-Match Fixing Policy which will now go out to clubs and their membership for consultation. It might not be a compelling read or best seller but we must have procedures in place to guard against such a possible occurrence. Our next meeting will be our annual face to face get together in Wellington and I’m presently putting together an agenda which will include amongst other things, re-examining the structure of our organisation which relies so much on contributions from our committees; a session on business planning and budget for the forthcoming year and a presentation to Council on sponsorship. Appointments to our various committees are underway and it is encouraging to see some new applications as well as many of our existing members seeking re-appointment to continue and build upon previous contributions. We still have vacancies and are especially keen to secure more resources for our Technical Committee. So please ask yourself if now is the time when you could be of assistance and value? Finally every success to all those selected to represent NZ at the forthcoming Australian Champs and Schools Competition and for those simply competing, along as support or simply on holiday – have a great time. ONZ is pleased to confirm the following committees, and congratulate and welcome some new members. The Council has decided to defer any decision on the Rogaine Committee until September after a review of the necessity for this committee is undertaken. ONZ would also like to thank these committee members who have previously sat on these committees for their time, dedication and commitment to furthering orienteering in NZ. We know you are not moving from being involved in the sport, just moving on from the committees. Alister Metherell, Nick Smith, Josie Boland, Hugh Forlong-Ford and Nick Collins. We will be sending you all a survey request to help us with ideas around event management for the future. It is becoming more evident we need to change the way we prepare for, and carry out our Major Events, especially with external factors becoming more influential on our events and programming. The ability of clubs – large and small – to host major events. The impact from 2019 when WOC will be held at different times of the year as the IOF splits sprint and long WOC events. With the growth of large club events, whether there is still a need to hold smaller specific championship events. Entries for the National Championships are now open. Hawkes Bay have created some new maps with a maze of valleys and water courses, a plethora of route choices and a very picturesque arboretum! The 2017 SuperSeries rounded off on a very cold, very wet Queen’s Birthday Weekend in Canterbury, with snow actually falling in the assembly area at Butlers Bush on Sunday. Going into the weekend Gene Beveridge, Imogene Scott, Tommy Hayes and Alice Tilley were leading M21E, W21E, M20 and W20 respectively. After the three tough days down south only Imogene of these remained at the top of the list. Check out the ONZ website for more on the SuperSeries 2017 results and the latest newsletter from Malcolm which will be posted on the ONZ website shortly. We are wanting good looking images that reflects orienteering in NZ to update our website. We know lots of you do take photos of events etc and we’d love to use your photos on our webste. To update your email list Preferences or to Subscribe, please Click Here.